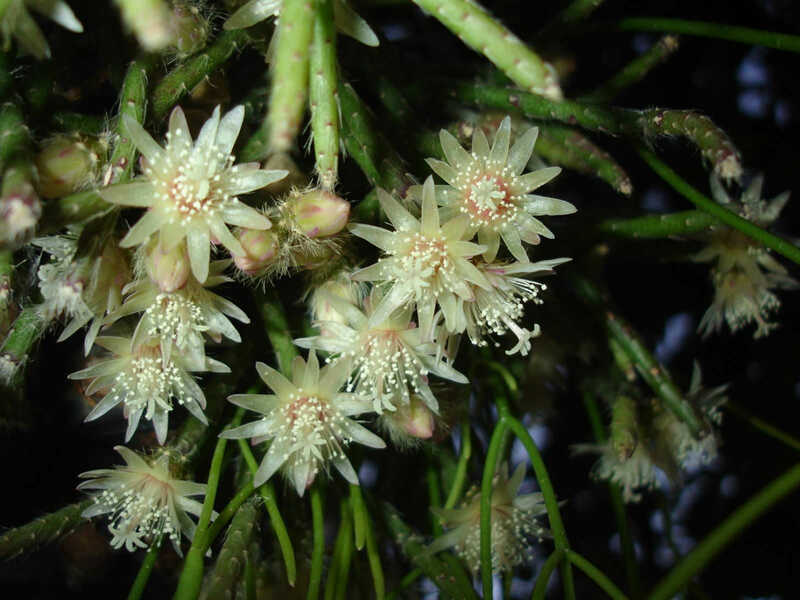 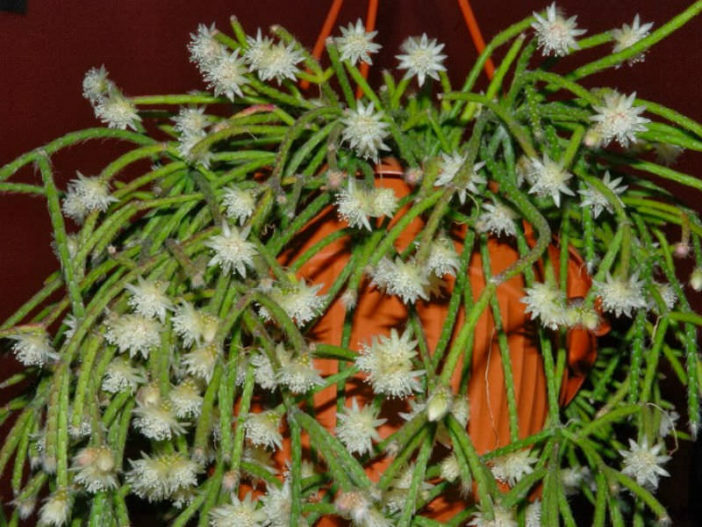 Rhipsalis pilocarpa is an unusual cactus with dark green to purple stems, sometimes unbranched, up to 15.7 inches (40 cm) long, covered with fine white hairs growing from the areoles. 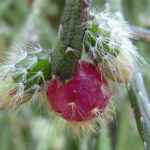 In sunlight the stems can become tinged red. 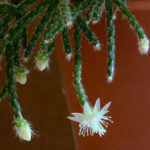 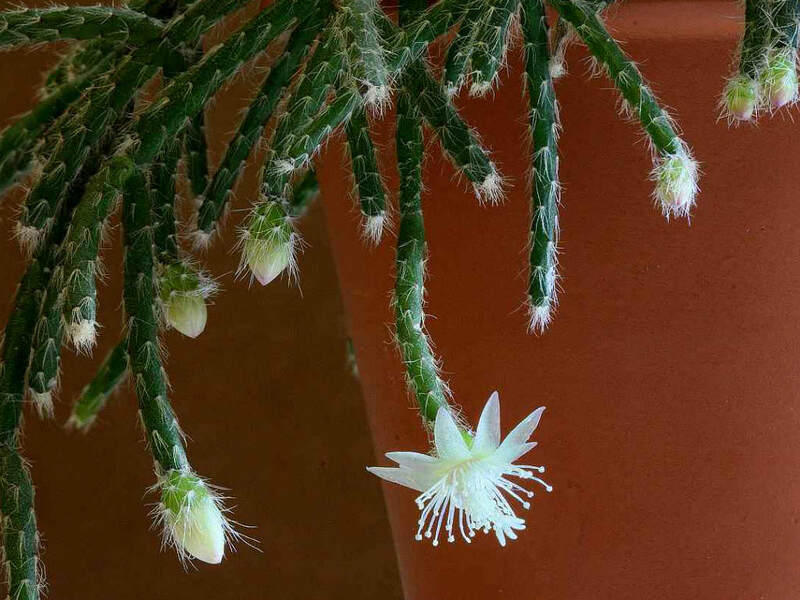 The flowers are very fragrant, small, up to 0.8 inch (2 cm) broad, white with pink centres, slender and bell-like but open widely and appear at the ends of the stems. 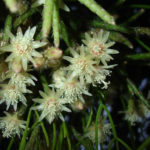 The branches often end in three to six smaller branches. 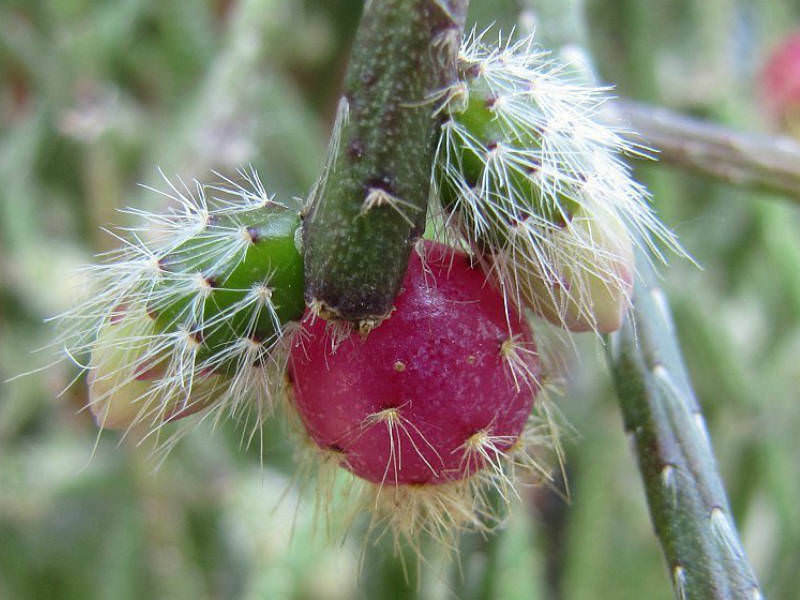 Fruits are red to maroon and have tiny hairs on them.